There are a number of reasons that people choose to conduct a professional home remodel project. Some people have a need for more living space because of a growing family while others are thinking ahead to a time in the future when they want to sell their homes for maximum profit. Still, others want to enjoy a lifestyle that a particular remodel will allow them to fully live. 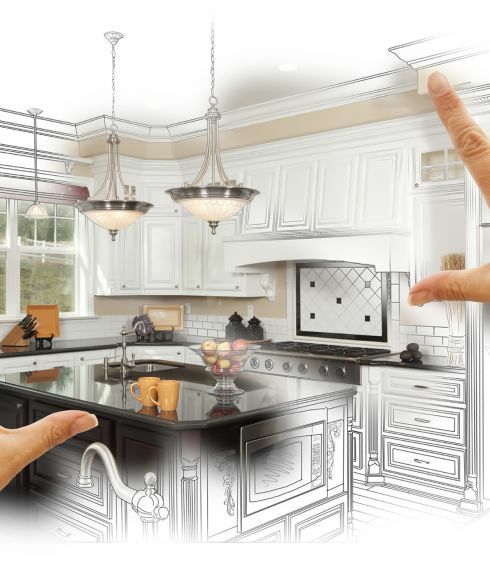 It is for these reasons that many homeowners take on kitchen remodeling projects, and interior designers have added features to their modern, custom designs that add both form and function. Here are some unexpected custom kitchen features that give a modern vibe to the classic space that is often thought of as the heart of a home. Sherlock's Carpet & Tile extends this service to the communities of Homer Glen, Tinley Park, Frankfort, and Orland Park, IL. Even though there are some great restaurants out there, cooking at home is very chic at the moment. This trend towards healthier, home made meals cooked while catching up with favorite family members and friends has led to updated kitchens that are large, functional and beautiful. Interior designers who hide large and small appliances within cabinetry and other clever storage spaces to give kitchens an uncluttered look have added features like double ovens and sinks to make both cooking and clean up more efficient. Even relatively small kitchens are getting the double sink treatment with strategically placed primary and food preparation sinks. The gold standard for elegant looking countertops and other custom kitchen work zones was commonly thought to be granite. Interior designers inspired by their clients' personal styles now incorporate a variety of materials for these areas. The modern, industrial look of polished concrete, the functional yet elegant appearance of quartz and the classic beauty of wood adorn countertops and food preparation islands in the latest kitchen remodeling projects. Custom kitchen remodeling projects for smaller spaces can take on a dramatic theme when interior designers decide to play up cabinetry with color and add other decorative pieces for layered texture. For example, the cabinetry of a California bungalow that was just steps from the beach were painted the subtle slate blue of the nearby ocean. Alternately, a Midwestern country cottage was rejuvenated when a surprising shade of yellow graced kitchen cabinets. Although homeowners personally enjoy the finished results of their custom kitchen creations, they must be prepared to hone their hospitality skills a bit. Professionally inspired custom kitchen remodeling projects often result in living spaces that attract family and friends for spontaneous dinners and entertaining.